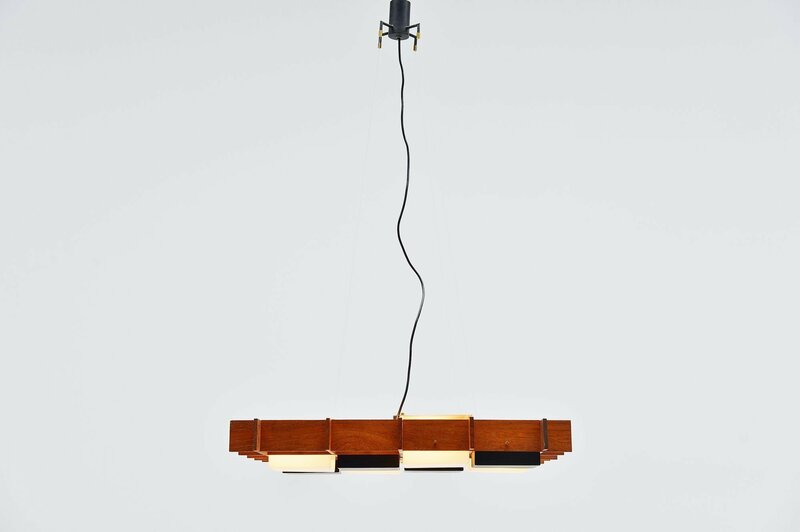 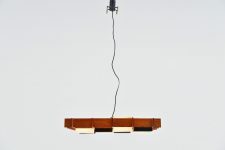 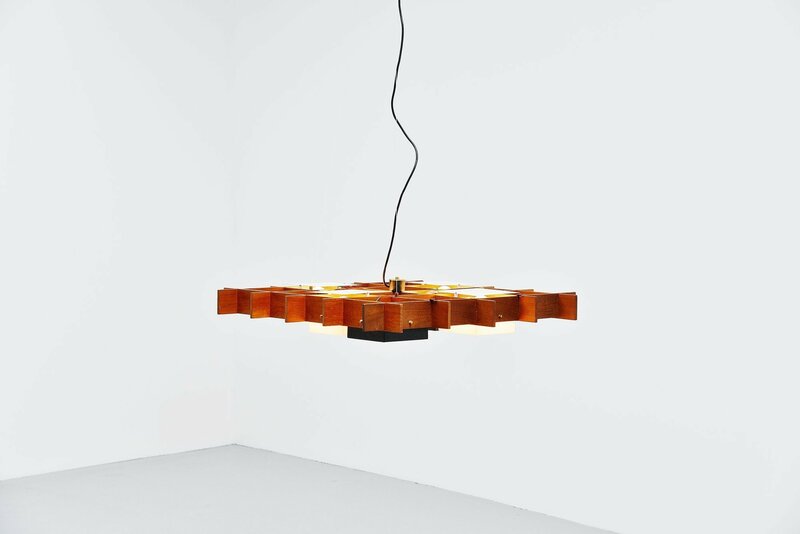 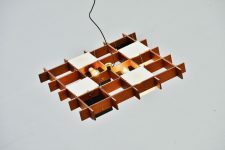 Beautiful large and extraordinary ceiling fixture designed by Angelo Brotto and manufactured by Esperia, Italy 1950. 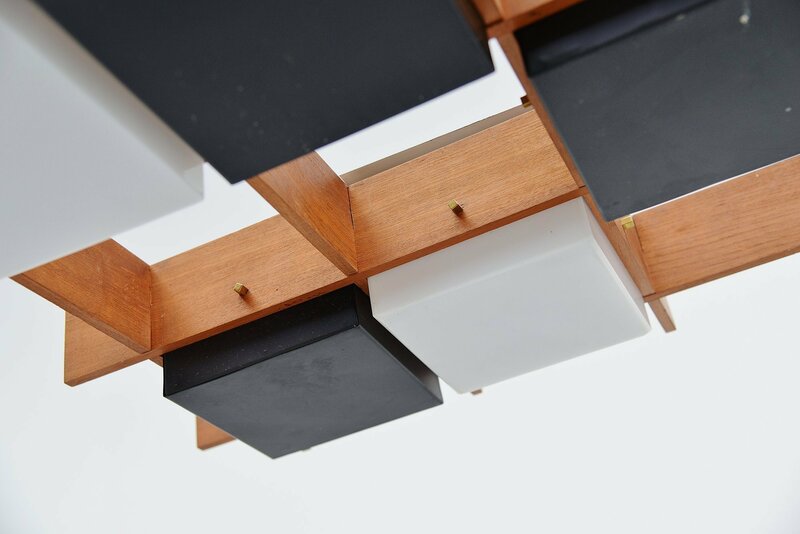 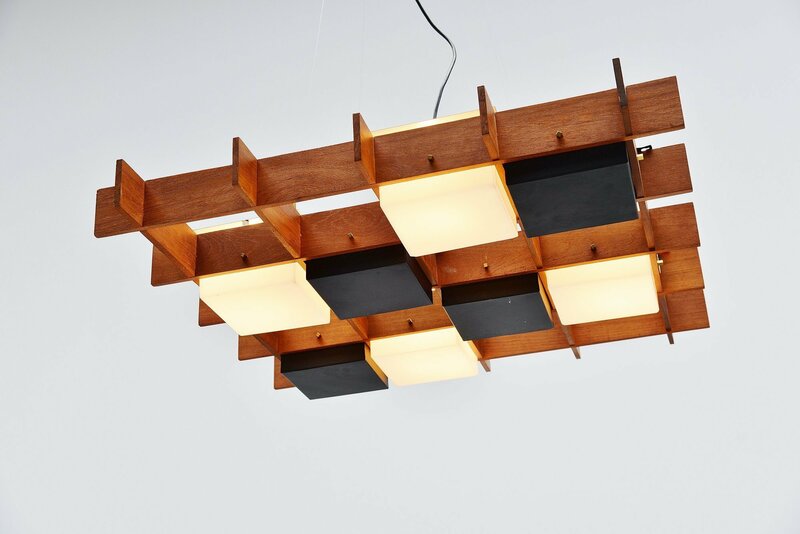 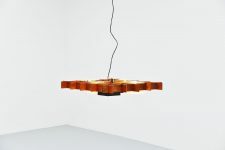 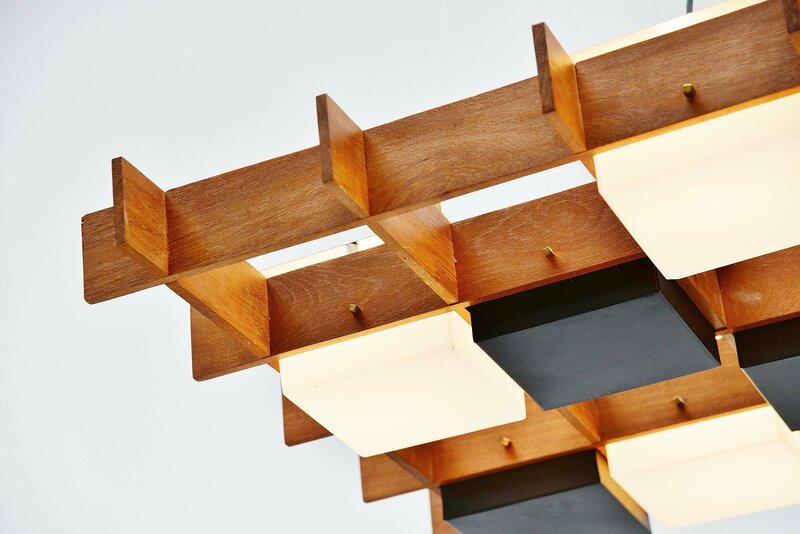 This ceiling lamp has a solid teak wooden raster frame and 4 square plexi shades and 4 black lacquered metal shades. 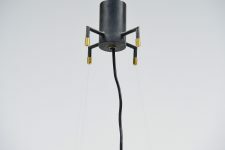 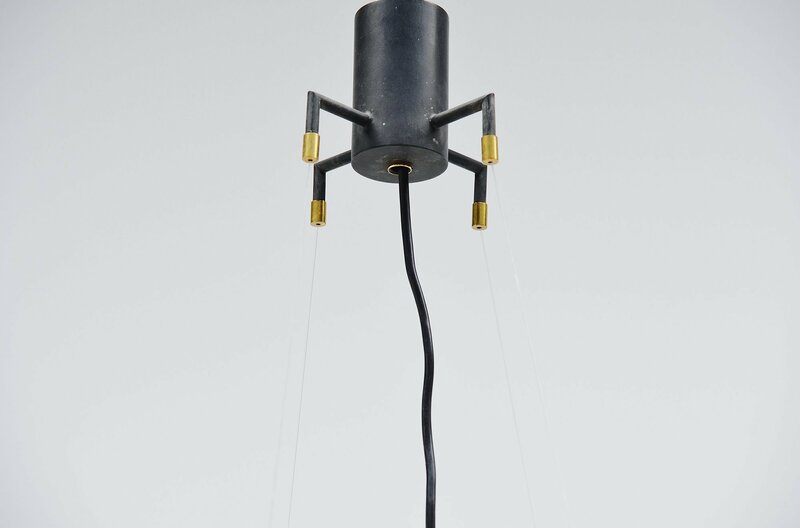 Very nice quality made lamp with brass details and the shade hangs on 4 nylon wires so it looks like its floating. 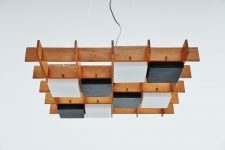 Very nice large sized ceiling lamp gives nice light when lit and uses 6x E27 bulbs up to 40 watt each.